The agenda for the December 8, 2010 Planning Commission meeting has been added. Santa and Mrs. Claus invite all the good boys and girls to a festive event featuring lots of children's holiday fun. Breakfast with Santa will take place on Saturday, Dec. 11at 9 a.m. at the Yorktown Freight Shed in Historic Yorktown. Kids and families of all ages can enjoy a kid-friendly breakfast buffet, visit with Santa to discuss their Christmas wish lists, interact with Santa's helpers, sing-along with roaming carolers, and enjoy story time with Mrs. Claus. Don't forget to bring your cameras to capture this unique holiday moment. Tickets are $19.95 per person (children under 2 are free). Tickets are available now. Purchase tickets in person at Riverwalk Restaurant or with a credit card by calling 875-1522. This holiday event has limited seating and may fill up quickly. The Yorktown Freight Shed at Riverwalk Landing is located on the Yorktown waterfront at 331 Water Street. For more information on this event please call 875-1522 or visit www.visityorktown.org. This event is jointly sponsored by York County and Riverwalk Restaurant. Join local florist Arlene Williams and make Christmas decorations from pine, boxwood, apples, and other live material at New Quarter Park on Saturday, Dec. 4, from noon until 2 p.m. The park's monthly Walk and Talk program, usually held each first Saturday of each month from 10 a.m. to noon, has been moved forward two hours so that local patrons can attend the Williamsburg Christmas Parade before coming to the park for a cup of hot cider and to learn how to fashion eighteenth-century-style wreaths and swags. Williams will talk about using natural plant materials while demonstrating the construction of a door decoration. Then park visitors can make their own decoration from plant materials clipped from the forest. Bring a basket or container if you wish to construct a centerpiece for your holiday table. Some florist foam will be available for sale, but participants are welcome to bring their own and are also asked to bring pruning shears and gloves to make working with plant material easier. Williams will also help participants tie their own ribbon into large and festive bows. Lots of native and traditional plant material will be available for participants to fashion their holiday decoration with advice and assistance from Williams, owner of Morrison's Flowers and Gifts in the Colony Square Shopping Center. Please call York County Parks and Recreation at 757-890-3513 for more information about this program or to add your name to New Quarter Park's weekly e-mail of event updates. York County offices will be closed November 25th and November 26th in observance of the Thanksgiving Holiday. reopen on November 26th observing normal business hours. Curbside garbage collection is canceled for Thanksgiving Day. If your collection day is Thursdday, November 25th your garbage will be collected Friday, November 26th. If your collection day is Friday, November 26th your collection day will be Saturday, November 27th. November 25th your recycling will be collected Saturday, November 27th. Fridays curbside recycling collection will run as normal. Please remember to have your containers out at the curb by 7am on your collection day. Contractors sometimes move through their routes faster on make-up days due to low volume participation. Historic Yorktown will be full of holiday cheer Friday, Dec. 3 through Sunday, Dec. 5, as it kicks off the holiday season with four special events. Historic Yorktown celebrates the holidays in style with a Christmas Tree Lighting, Christmas Market on Historic Main Street, Lighted Boat Parade and Cookies with Santa the first weekend in December. The weekend begins the evening of Friday, Dec. 3, with the annual Illumination and Christmas Tree Lighting Ceremony. Guests will be entertained with seasonal selections at the Yorktown Victory Monument from 6:30 to 7 p.m., followed by a performance of The Fifes & Drums of York Town, and a brief narrative history of the Yorktown village. The Procession of Lights, led by the Town Crier and the fifes & drums, will step off from the Victory Monument at 7:30 p.m. and proceed down historic Main Street to Ballard Street, then down the hill to Riverwalk Landing where the official tree lighting ceremony begins. Participants are encouraged to gather at the Yorktown Victory Monument by 6:30 p.m. to receive a free glow stick and enjoy the seasonal entertainment. The tree lighting ceremony at Riverwalk Landing includes holiday arrangements by The Yorktown Choraleat 7 p.m., and a visit from Santa Claus, who will visit with children of all ages until 8:30 p.m. This event is freeand sponsored by the York County Historical Committee. The excitement continues Saturday, Dec. 4, with the 5th AnnualChristmas Market on Main Street. From 10 a.m. to 4 p.m., visitors can enjoy musical entertainment, demonstrations, arts & crafts vendors with unique shopping opportunities, living history exhibits, classic cars, roasted chestnuts, food and more. Historic buildings and museums, including the Nelson House, Custom House, Yorktown Victory Center, Museum on Main, Yorktown Battlefield, the York County Historical Museum, and the Gallery at York Hall will be open and decorated for the holidays. The Town Crier will ring in the market at 10 a.m., followed by a performance of The Fifes and Drums of York Town to officially open the market. Main Street entertainment begins at 10:30 a.m. with strolling instrumental ensembles, caroling and holiday arrangements, concluding at 3:30 p.m. Strolling carolers will roam Riverwalk Landing from 1:30-3:30 pm and don't miss Santa and Mrs. Claus throughout Yorktown. As part of the living history exhibits, members of Fox Company and the Virginia Military Preservation Association will participate with World War II exhibits on Main Street and at the Museum on Main from 10 a.m. to 4 p.m. Local collectors will display classic cars along Historic Main Street. The Christmas market is co-sponsored by the York County Historical Museum and York County. Entertainment provided in part by a grant from the York County Arts Commission. Following the Christmas Market, the waterfront lights up with the spectacular 14th Annual Yorktown Lighted Boat Parade. Decorated in holiday spirit, local sail, pleasure, and work boats parade the York River in competition for "Best of Show." Waterfront events begin at 6 p.m. Enjoy complimentary hot cider served by Boy Scout Troop 123 of Seaford and musical performances by the Yorktown Chorale and The Fifes and Drums of York Town, all in the glow of a beach bonfire while awaiting the magnificent parade of lights. Parade judging begins at 7 p.m. Don't miss the strolling ensemble "Swinging Santa's" playing holiday arrangements from 5:30 to 7:30 p.m.As an added safety precaution, families are encouraged to bring flashlights to assist in navigation around town at night. This event is free and is sponsored by the Yorktown Lighted Boat Parade Committee and Wormley Creek Marina. On Sunday, Dec. 5, from 1 to 4 p.m., the Gallery at York Hall will feature Cookies with Santa. Children and parents of all ages can visit with Santa and do some holiday shopping. Parents are encouraged to bring your cameras to capture the children's excitement! Refreshments will be available. This event is freeand is sponsored by the Celebrate Yorktown Committee. Artwork featured in TheGallery at York Hall is available for purchase and will make the perfect holiday gift. The Gallery showcases fine arts in all media by local artists and features selected artists on a revolving basis. For information on exhibits, call the Gallery at York Hall at 890-4490. Public parking will be available at the Riverwalk Landing parking terrace on Water Street, York Hall (with the exception of Friday night), County Administration Building and Courts and Offices parking lots on Ballard Street. Additional handicapped parking will be available Friday, Dec. 3 on the lower level of the Riverwalk Landing parking terrace. To access the handicapped parking area, enter Yorktown from the west side of US 17 to Water Street and into the parking terrace. Yorktown Trolley transportation will be provided on Saturday, Dec. 4, from 10 a.m. to 4 p.m. The trolley will run its normal route stopping at several locations throughout town. The Yorktown Trolley is handicapped accessible. No rain dates are scheduled for the holiday weekend events. In the event weather conditions pose a threat, please call the York County event weather hotline for the most current information at 890-3520. For directions to Yorktown and a more detailed schedule of events, visit www.visityorktown.org. Specific inquiries may be addressed by calling 890-3500. A variety of educational and entertaining programs are being offered at the Senior Center of York in December. Scrapbooking & Greeting Cards, Monday, Dec. 6 from 9 a.m. to noon. Join us as Cathy Fowler of Creative Memories shows how to make beautiful holiday cards and assists you with your scrapbook. These cards and your personalized scrapbook create lasting memories and make wonderful gifts for your loved ones. Note: Please limit to four cards. For more information and to register, please call 898-3807 by Dec. 3. AARP Driver Safety Program, Dec. 6 & Dec. 7. This program is designed for drivers age 50 or better, and will take place on Monday, Dec. 6 from 12:45 – 4:45 p.m. and Tuesday, Dec. 7 from 12:30 – 4:30 p.m. The cost for this two-day program is now $12 for members of AARP and $14 for non-members.Fees should be paid by check and made out to AARP. Class registration may be made in person at the Senior Center, by phone, or by mail. Note: AARP membership, which cannot be processed the day of a class, is not required for class registration. There is no "behind the wheel" driving performed in this program. Drivers age 55 or better must attend both classes to receive the state mandated three-year automobile insurance reduction. Many insurance companies are giving insurance reductions to drivers age 50+ with the same attendance requirements. Those less than age 55 should check with their insurance company to see if they are entitled to the three-year insurance reduction. Class enrollment is limited to 25. Fraud & Identity Theft, Wednesday, Dec. 8 at 1 p.m. The holidays are officially here. It is the season for giving, but for some, it is the season for taking. With identity thefts occurring at the rate of an average of 25,000 every day, the Christmas holiday season is just as big a business opportunity for identity thieves as it is for retailers. So to help you keep your good cheer, the York Poquoson Triad is sponsoring a program to discuss ways that you can protect your identity and help keep you from becoming a victim of fraud and or identity theft. Please register by calling the Senior Center of York at 890-3807 by Dec. 6. Refreshments will be provided. Breakfast, Tree-Trimming, and Singing, Thursday, Dec. 9. Come enjoy a Hardee's biscuit at 9:30 a.m. followed by tree decorating along with a lively and festive concert by Seaford Elementary School Choir at 10:30 a.m. Please register by Dec. 7. Senior Center Christmas Luncheon, Friday, Dec. 10 from 11 a.m. to 1 p.m. Call the Senior Center of York at 898-3807 to see if spots are still available for this event. Luncheon festivities will kick off with a musical performance by the center's Matinee Idlers with the meal to follow. The menu will include spaghetti and meatballs, caesar salad, breadsticks, dessert, and beverage. Please bring in current canned goods to support the York County Church Women United Emergency Food Closet. Scrap Tinsel Ornament Making, Monday, Dec. 13 from 10 a.m. to 11 a.m. Facilitator Ruthann Grabowski will show participants how to make and design a vintage ornament typical of the era 1890-1920 from materials such as mercury glass beads, diecuts, holiday-themed pictures, and other vintage and reproduction materials. There will be a sample ornament at the front desk. Please register for this activity by Dec. 10. Space is limited. 2010 Senior Center Art Exhibit at the Gallery at York Hall through Dec. 13. Visit the Gallery at York Hall, located at 301 Main Street in Yorktown to see work on display created by our own Senior Center crafters. The exhibit will be open through Dec. 13. Gallery hours are Tuesday –Saturday from 10 a.m. to 4 p.m. and Sunday from 1 - 4 p.m.
Culture Day, "The History of Ornaments in America," Tuesday, Dec. 14 at 1 p.m. Presenter Ruthann Grabowski will give a brief overview of ornaments from 1890 to the 1960s. The speaker will illustrate how to preserve and collect ornaments as well as how to determine their value. Ms. Grabowski will also discuss how our nation's history influenced ornaments, especially World War I and II. Please register by Dec. 13 for this program. Christmas Caroling, Thursday, Dec. 16 at 1 p.m. Catch the holiday spirit with the singers of St. Joan of Arc Catholic Church as they perform Christmas carols. Please register by Dec. 15. Let's Go to the Movies, Friday, Dec. 17 at 1 p.m. The York County Library and the Senior Center of York will present the 1989 Christmas comedy film, "Christmas Vacation" (Rated PG 13). Directed by Jeremiah S. Chechik, this movie tells of the adventures and misfortunes of the eccentric Griswold family as they make family plans for the holidays. Dinner and Celebration of Lights Holiday Trip, Monday, Dec. 20. Join us for a "dutch treat" dinner trip to Golden Coral and a ride through the two-mile Festival of Lights display at Newport News Park. The bus will depart the Senior Center at 4:30 p.m. Bus seating is limited, but you can drive yourself and we will provide the tickets to enter the lights display. To register call the Senior Center at 898-3807 by Dec. 17. Computer General Use. The computers are available for general use Monday through Friday from 9:30 a.m. to 3:30 p.m. unless the lab is reserved for programmed activities. To use the computers you must sign in at the Senior Center front desk. * Knitting and Crochet Class: Mondays, 1 to 3 p.m.
Tuesdays from 10 a.m. to 3 p.m.
*Quilters: Thursdays from 10 a.m. to 3 p.m.
Mark Your Calendar: The center will be closed on Dec. 24, Dec. 27, Dec. 31 and Jan. 3. Yorktown is aglow in the holiday spirit with the Illumination followed by the Christmas Tree Lighting at Riverwalk Landing. Entertainment begins at the Victory Monument at 6:30 pm followed by the procession of lights through historic Yorktown to the site of the tree lighting led by the Fifes and Drums of York Town. Enjoy holiday entertainment and a visit by Santa Claus. Free. 757-890-3500. Whether you are searching for a holiday gift for family, friends, or as a treat to yourself, you're sure to find it at the Christmas Market on Main. The market features arts and crafts, demonstrations, classic cars, living history, roasted chestnuts and hot cider, entertainment, and much more. The Fifes and Drums of York Town will perform to open the Market. Historic Main Street. Free. 757-890-3500. Riverwalk Landing, 323 Water Street, Yorktown, VA Call for information and pricing. 757-875-1522. A magnificent parade of lights floats by as festively decorated boats compete for "Best of Show" in the Lighted Boat Parade. A roaring beach bonfire keeps you warm as you drink hot cider and listen to the festive music while you wait for the parade to begin. The Fifes and Drums of York Town will be performing. Yorktown Waterfront. Free. 757-890-3500. Christmas is alive at York Hall where children and parents can visit with Santa Claus, enjoy some tasty treats, and shop for holiday gifts in The Gallery at York Hall. Parents are encouraged to bring cameras for family photos. 301 Main Street. Free. 757-890-3500. Fresh produce, meat and seafood, baked goods, specialty cut flowers, quality art, enjoy holiday music and sounds of the season, and much more await you at the Saturday morning Market. Sponsored by Riverwalk Landing Business Association and York County. Riverwalk Landing. Free. 757-890-3500. For more detailed information on Yorktown Market Days at the River, visit the Market Days website. Riverwalk Restaurant Join Santa and Mrs. Claus, our special guests from the North Pole, for a kid-friendly breakfast. Experience the enchantment on the children's faces as they relay their Christmas wish list to Santa. The Fifes and Drums of York Town will perform. Special treats for the kids. Parents are encouraged to bring cameras for family photos. Historic Yorktown Freight Shed, Yorktown Waterfront. Tickets required. Seating is limited. Call 757-875-1522 for information and pricing. Decorate a stroller or wagon, or even yourself, and join in the 1:30 pm parade! Santa and Mrs. Claus will be on hand to greet the guests and Mrs. Claus will host her own storytelling show. The Fifes and Drums of York Town will be leading the parade. As an added treat, the Polar Express will be chugging along through Riverwalk Landing. All aboard! Riverwalk Landing. Free. 757-890-3500. The York County Public Library recently received a generous book donation from the York Republican Women's Club. Marsha Brown, President, presented the books to Kevin Smith, Manager of Library Services, at the November Republican Women's Club meeting. "These books are exceptional additions to our collection," said Smith. "We appreciate the support of the Republican Women's Club." "The Making of America: The Substance and Meaning of the Constitution" by W. Cleon Skousen addresses the Founding Fathers' intent for each clause of the Constitution. Also written by Skousen, "The Five Thousand Year Leap: 28 Great Ideas That Changed the World" discusses 28 principles of freedom that guided our Founding Fathers. This 30 year anniversary edition includes two addresses by Skousen, the full text of the Constitution and Declaration of Independence, and a forward by radio and television personality Glenn Beck. Children ages 7-10 will enjoy "Veterans Day" by Marlene Targ Brill and "Memorial Day" by Christin Ditchfield. These titles explore the history of each holiday and how it is celebrated. "World War II Memorial" by Maureen Picard Robins discusses the creation of the memorial and includes basic history about the war. It is recommended for ages 12 and up. These books are now available at your York County Public Library. Visit the library, call the Reference desk at 890-5120 (Tabb) or 890-5207 (Yorktown) or use the online catalog at www.yorkcounty.gov/library to reserve a copy. The Tabb Library is located at the intersection of Hampton Highway (VA Rt. 134) and Long Green Boulevard, across from the Victory YMCA. The Yorktown Library is located at the intersection of George Washington Memorial Highway (Route 17) and Battle Road. Ken Cuccinelli was elected Attorney General of Virginia on November 3, 2009, and was sworn into office on January 16, 2010. In this position, he is responsible for overseeing the Office of the Attorney General and its more than 300 attorneys and support staff. 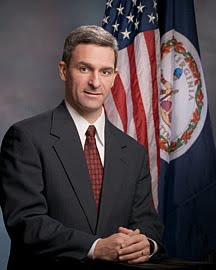 Prior to this, Attorney General Cuccinelli served in the Senate of Virginia from August 2002 to January 2010. During his time in the Senate, he served on the Courts of Justice Committee; the Transportation Committee; the Local Government Committee; the Rehabilitation and Social Services Committee; and the Agriculture, Conservation and Natural Resources Committee. Unless otherwise stated, all meetings of The Tuscany Forum will be held the third Thursday of each month at Tuscany's Coffee House, 6605 George Washington Memorial Highway (Route 17) Yorktown, 23692. Doors open at 6:00pm, food and drink available, Forum begins at 7:00pm. See you at Tuscany's Tuesday November 16th, 6:30pm!! The agenda for the November 10, 2010 Planning Commission meeting has been updated. Yorktown Market Days will conclude its fourth season at Riverwalk Landing with two holiday markets on Saturday, Nov. 13 and Dec. 11. Located on the banks of the York River between Buckner and Ballard Streets, the Holiday Markets will feature an assortment of items for your shopping pleasure: local produce, fresh meat and seafood, fine sweets and baked goods including an assortment of cakes, breads, brownies and cookies; gourmet herbs, homemade relish and spices; specialty cut flowers, holiday wreaths, pines, and flowering bulbs; handmade soaps and lotions; homemade peanut brittle, holiday music and quality art. Over 35 vendors are scheduled for the Holiday Markets. For entertainment, enjoy the Runaway String Band offering Bluegrass tunes at the November market and in December for the final market, a combination of live holiday musical tunes and seasonal jingles will help make the shopping experience festive. The Holiday Markets also will feature approximately a dozen local artists. Art will include jewelry, woodcarvings, paintings, pottery, beach sea glass pictures and one of a kind photography. For additional artist information, please email Susan Powell, Arts Coordinator at susan.p17@gmail.com. Free parkingis available in several public parking areas throughout historic Yorktown including the Riverwalk Landing parking terrace, York Hall, the County Administration Center and the York-Poquoson Courthouse Complex. Limited space is still available if you would like to become a market vendor. Vendor information is available at riverwalklanding.com or contact Don Willis, Market Manager at 757-877-2933 or villageevents@cox.net for more details. No rain date is scheduled for the final markets. In the event of inclement weather, please call the event weather hotline at 757-890-3520 for the most current information. For directions to Yorktown and a more detailed schedule of events, call 757-890-3500 or visit www.visityorktown.org. Yorktown Market Days is presented by the Riverwalk Landing Business Association and York County. Special thanks to the market founding sponsor 1st Advantage Federal Credit Union and other market sponsors C&F Bank and Farm Bureau Insurance for their continued support. The Market is slated to return for the next season in the spring of 2011. Please refer to www.riverwalklanding.com for a schedule. NOTE: This email was sent via a mail server that does not receive incoming mail. DO NOT REPLY.nsure collection. Have a great day!! County Offices will be closed on Thursday, November 11th in observance of Veterans Day.The transfer station, recycling center, citizen drop off area and the VPPSA compost facility will be open regular hours. Trash and recycling will be collected as normal. Please make sure your containers are at the curb by 7am to ensure collection. Have a great day!! In recognition of the 13th annual America Recycles Day set for Nov. 15, 2010, York County will be hosting its final Household Chemical Collection event for the year on Saturday, Nov. 13, from 8 a.m. – noon at the EDS Operations Center on Goodwin Neck Road. Also on Saturday, the York County Beautification Committee will have recycling information and an "I Recycle" pledge station at the Market Days at the River at Riverwalk Landing. As part of this year's America Recycle's Day "I Recycle" theme, completed pledge cards will be forwarded to the Virginia Recycling Association to be included in their drawing to win a prize in one of two categories: youth will be entered to win a new bike (value $250) and a $250 Environmental Grant for their school; adults will be entered to win a $500 gift card to Greenhome.com. Pledge cards will also be available at the Household Chemical Collection event. Originally organized by a National Executive Steering Committee comprised of the Federal Environmental Executive, the U.S. EPA, U.S. Postal Service, Steel Recycling Institute, and other recycling, trade and environmental groups, America Recycles Day is now coordinated by Keep America Beautiful, Inc., the nation's largest volunteer-based community action and education organization. Residents who are unable to attend an event are encouraged to visit www.americarecyclesday.org to pledge their commitment to recycling. For more information, call 890-3780. Garbage collection normally scheduled for Thursday, Nov. 25, will be collected on Friday, Nov. 26. Garbage collection normally scheduled for Friday, Nov. 26, will be collected Saturday, Nov. 27. Recycling collection normally scheduled for Thursday, Nov. 25, will be collected on Saturday, Nov. 27. Those residents affected by this scheduling shift should remember to place recycling bins at the curb by 7 a.m. on Nov. 27. For more information on the garbage and recycling collection schedule, call Waste Management at 890-3780. "Letters from War" is the continuing theme of the annual Veterans Day ceremony to be held in Historic Yorktown. Gather with members of the York County Historical Committee as they pay tribute to those who are serving, and have served, our nation in times of war. In remembrance of Veteran's Day 2010, the Historical Committee will observe the occasion with a memorial service in the Board Room, Second Floor, York Hall, 301 Main Street, Yorktown, on Thursday, Nov. 11. The service will begin at noon and will include a tolling of the bell, presentation of the colors, singing of the National Anthem, Pledge of Allegiance, laying of honors, and "Taps." There will also be a special recognition of all Veterans of our Armed Forces. Refreshments will be served immediately following the ceremony. For information, call 757-890-3500. For her innovation in using low-cost, public domain Web site software to completely revamp York County's Web presence, webmaster Coleen Cason was recently awarded the Government Open Source Conference (GOSCON) Open Source in Government Award for Most Resourceful Use of Open Source Software. "Ms. Cason receives this award in recognition of her successful conversion of the York County Web site to a standards-compliant open source content management system based portal," wrote Deborah Bryant, conference director for GOSCON in a press release issued by the organization. "Coleen accomplished the transition to great accolades from her management and local citizens, with a staff of one – herself – no formal IT training and no additional budget resources." The county officially relaunched its Web site in December of last year, after staff spent more than 2,000 hours converting the site to its new DotNetNuke content management system. DNN currently powers over 400,000 sites, including intranets, extranets and public Web sites. It was originally developed by Microsoft and subsequently released to the public as open-source software. "The money that staff saved the county in this process is just astounding," said County Administrator James O. McReynolds, noting that were the county to have contracted out for the work it would have cost upwards of $300,000. By building the site and transferring content in-house, the county spent under $2,500 for the new Web site. GOSCON's awards recognize government employees who have made significant accomplishments in the application of open source technology in support of their agency's mission. For more information, contact Todd Simmons at 541-737-0790, or visit http://goscon.org.